Vaping CBD is something that’s getting more and more popular among people who enjoy the benefits of CBD and is the perfect accompaniment to your favorite e-liquid or vape juice. The other great thing about vaping CBD is that you can control your precise intake – and therefore your dosage – simply by choosing the right strength of CBD concentrate and the right device. There’s a whole range of exciting CBD products on the market today including edibles, tinctures, CBD creams, and salves, as well as a range of other products. When it comes to vaping CBD there are a number of different options to choose from depending on various personal factors relating to you. First off, there’s the strength of CBD that you choose. Then, there’s the flavor of e-liquid you opt and of course the device you use. Some people favor disposable CBD vape pens while others are more into reusable Vape Pens for CBD Oil. Both have their pros and cons although reusable vape pens tend to work out to be more cost-effective in the long run. CBD oil isn’t really oil at all and is only called that due to being derived from Hemp oil. But without getting stuck on names for too long, it comes in liquid form and can be dripped into your device’s tank and then topped up when it runs out. Bottles of CBD oil are far cheaper than prefilled capsules and offer the flexibility of increasing or tapering your actual dose of CBD. 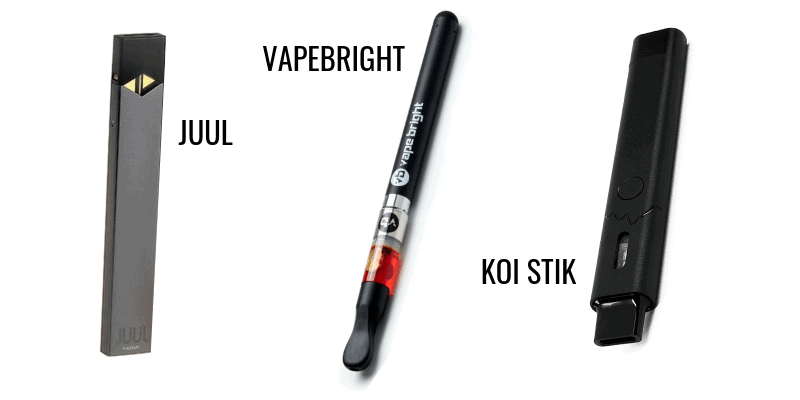 There are many reusable vape pens for CBD oil on the market today, including products from top-shelf brands such as Koi stick, Vape Bright Battery and Hempods. But which is the best one for you and which one comes in at the most competitive price? Koi Stick is a brand known and loved by many CBD aficionados. Small and sleek, this device is one of the easiest ways you can start vaping CBD in a cost-effective and safe way. The device is charged via USB and it’s as easy as plugging in the device, filling up the cartridge with your favorite flavor and taking a puff. Koi Stick is manufactured by Boulder and uses only the highest quality materials throughout the whole production process. The single button design makes it easy-to-use and at only around 5 inches long it can easily fit in your shirt pocket or your pocketbook. The device boasts a battery capacity of 360 MAh, in line with most vape pens of this size, and that battery retains 80% of its capacity after 300 charge cycles according to the company’s specifications. Apart from your favorite CBD oil vape juice, you will need to purchase replacement pods as the atomizers are only good for 1-2 refills before they begin to fade. But those coils, as they are known, are reasonably priced and easy to get. The great news is that you can choose the specific strength of the CBD content as well as having the choice of six delicious flavors. They include Blue Raspberry Dragonfruit, Strawberry Milkshake, Vanilla Caramel Custard, Watermelon Green Apple Sour, White Flavorless Additive, and Pink Lemonade. 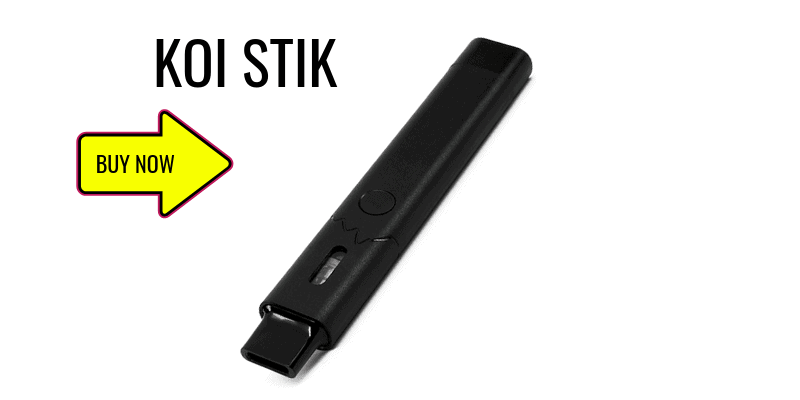 The other great feature of the Koi Stick is that it’s easy to refill and offers hassle-free CBD vaping to even the most novice of CBD vapers. You can even buy a few different flavors to switch things up and choose a weaker CBD concentration for daytime use if you prefer. Vape Bright has been a well-known brand in the CBD world for some time and they design top-quality great tasting pure CBD oil pods which are designed for ultimate convenience and enjoyment. The company calls their vape cartridge Thrive and it contains 200mg of great-tasting, top-shelf CBD but without the usual PG or other carrier liquids, one finds in other systems. Each puff delivers a precise 1mg dose of pure organic CBD, which the company claims is up to 10 times what you get from many reusable vape pens for CBD oil on the market. With that in mind, this is a refreshing and very effective CBD vape but there’s a good reason why the Vape Bright Battery is getting so much positive attention at the moment. When it comes to real user experiences, nothing says it better than real verified customer reviews. These are people, just like you and me, who have taken the lead to vaping CBD already and who’ve taken the time and trouble to share that experience with other potential customers in the review section. 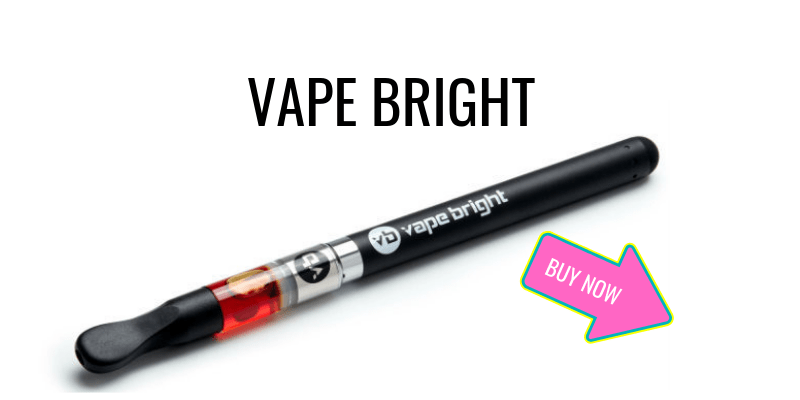 That said, there are hundreds of reviews extolling the virtues of the Vape Bright Battery which comes in a hard case with a neat charging feature as well as offering a 3.2-volt setting built-in, which allows for a heavier draw for maximum vapor and effect. It’s quite possible that this is a case of saving the best till last, although that depends who you ask as vaping CBD is such a personal thing. 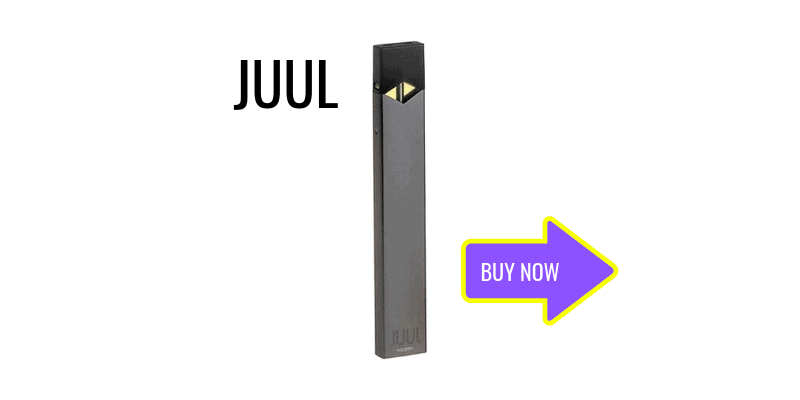 For anyone who used to smoke cigarettes, they will most likely have heard of the Juul electric cigarette. This is because Juul is probably the most successful smoking cessation device on the market and has helped literally hundreds of thousands of people to kick that nasty habit. With the increasing popularity of CBD in vape form, it was only a matter of time before some clever soul cottoned on to the idea that it could be a good thing to put finest-quality CBD in the replacement pods instead of nicotine. Hempods, which is a reputable name in the world of online CBD, were the lucky ones to jump onto this idea and create the perfect pod system for the Juul device. Hempods call their product “Broad Spectrum Hempods” and they offer their customers the option of choosing the specific strain of CBD they want in their pod. Made with Broad Spectrum Hemp Oil and CO2 extracted Cannabis Derived Terpenes; all grown and extracted in Oregon, the company offers full lab reports on all their products. While Hempods offer a single pod system containing 0.5 grams of oil, these pods are 75.9% in strength and include small amounts of other great compounds like CBC, CBG, and CBN. There is zero THC and no nicotine in Hempods, and they are able to ship to all 50 states in America. When choosing your reusable vape pen for CBD oil always make sure that you are able to also purchase replacement cartridges, atomizers or coils so that you don’t get left short without your daily dose of CBD. All three of the options mentioned here are the natural choice for anyone wanting to enter the world of vaping CBD in a simple and cost-effective way.